If you are an average office worker, chances are you spend 40 to 50 hours weekly in your office, this is almost the same amount of time you spend at home. Therefore having a clean and hygienic working environment is very important. Working in a clean and neat office can improve your work efficiency, by finding things quickly and getting them done, therefore this will increase your general performance. Listed below are some the office cleaning tips, that will ensure you have a clean working environment and thus create a good visual impression for your clients. In order to clean the office effectively, office accessories, files, and supplies must be well organized. Office staff needs to keep their work space well organized so that cleaning staff can do their job efficiently and properly, without worrying that they will mishandle office materials. Office managers can improve the organization of their employees by making sure that they have adequate storage equipment, where they can keep their documents safely. Proper organization reduces office chaos, may improve focus and definitely enhances office cleanliness. Do not let your working area to get out of control, this can be achieved by cleaning small portions at a time(regularly). One of the biggest problems faced by office staff is the files and papers that pile on their desks. It is disease-causing to make sure your desk and shelves are organized before you leave your office. You can also create drawers and folders that are clearly labeled so that you can easily place objects and find them when needed. Germs can easily be transferred by people touching objects. Therefore you can easily get sick or get infected with flu from other people who are dealing with your phone, computer, and other electronic devices in your office. You can get rid of this disease causing microorganisms, by ensuring that your workplace is free dust and disinfecting your electronics and any other touchable item. Remember to use appropriate safety precautions while cleaning sensitive electrical equipment. If you are not certain about which office cleaning products to use, you should consider getting a professional guide from cleaners. Outdated business cards, expired calendars, unused coffee mugs, extra pens that you don't use. These things can be classified as junk, and it is important to get rid of them because they will occupy your valuable space and make your office untidy. These junk might distract you from the job at hand. Begin by having a list of the thing that you really need and also a list of unnecessary things and then get down to the essentials. Spare some few minutes at the end of a business day or before the week comes to an end, and wipe your keyboard, monitor and printing machine, doing this will help to keep germs away. Wipe all surfaces that people will touch with a disinfectant. Not every office cleaning tasks can be achieved in a single day. To make sure that your office stays clean and is well organized, it is important to make a regular cleaning program and coordinate with your colleagues to ensure that the schedule is adhered to. For example, all office garbage can be disposed on weekly basis, depending on the needs of your office, whereas doors and window panes can be cleaned on a monthly basis. Keep in mind these tips to ensure that your office is always clean, and you will no longer have to spend sleepless nights thinking about the misplaced contract or your lost tax file. With a little effort, and making sure that you adhere to the above tips, you will be surprised how much mental peace you can have. Your happiness and peace of mind will translate, to you having more time for effective work. Keep in mind that a clean office is a healthy office, and it is good to know that It is an office that impresses potential customers and be them develop a positive attitude. Keeping things neat clean gives employees, a good environment to focus on their jobs. 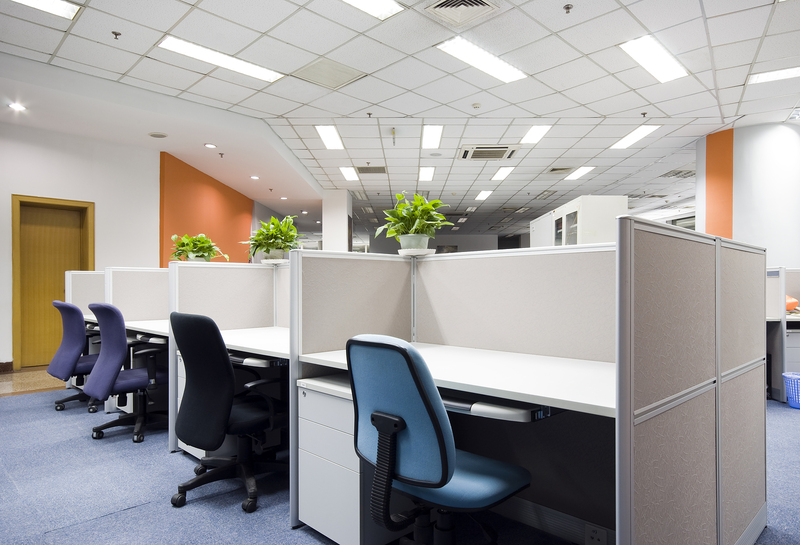 Apart from these tips, you can also opt for an office cleaning agency in Singapore to get the cleaning done for you.